We achieved all three of our top political priorities by electing Manka Dhingra to the state Senate, electing Don Orange to the Vancouver Port, and maintaining an environmental majority on Whatcom County’s Council. In the 45th Legislative District special election, we elected Manka Dhingra to the state Senate. The State of Washington now has a pro-environmental Governor and majorities in the House and Senate, creating a block of pro-environmental states along the West Coast. The 2017 race for Vancouver Port Commissioner was largely seen as a referendum on the proposed Tesoro oil-by-rail terminal. WCV and hundreds of local volunteers went toe-to-toe with Big Oil, successfully electing Don Orange. We successfully upheld a pro-environmental majority in the Whatcom County Council by electing Rud Browne, Todd Donovan, and Barry Buchanan. This gives us the power to defend against future fossil fuel infrastructure projects. WCV elected Chris Beale to the Tacoma City Council. We’re excited about Chris’ ability to move Tacoma forward, towards a clean energy economy and a vibrant waterfront. WCV scored major media hits in local and national news. For the 2nd year WCV helped lead the Our Votes Count coalition. Partnering with Fuse, Progress Alliance, Planned Parenthood, Washington Community Action Network and APACE this effort engages infrequent voters at the door who consistently support environmental candidates and causes, but don’t consistently vote. WCV knocked on 63,000 doors, made 37,000 phone calls to voters, sent 50,000 texts through peer-to-peer texting. Our TV ads were viewed by 75,000 voters, digital ads had 2 million impressions, and sent mail to 60,000 households. Mobilize our largest grassroots force of 1,500 volunteers to help get out the vote. Knock on 98,585 doors, make 21,419 phone calls, and reach three million voters with TV ads. We achieved both of our top political priorities by reelecting Governor Jay Inslee and electing Hilary Franz as Commissioner of Public Lands. Our efforts helped pass Sound Transit proposition 1 and strengthen the environmental majority the state House and made progress towards a majority in the Senate. We secured over 25 different media stories and spoke with editorial boards across the state that helped shape the narrative for the Governor and Commissioner of Public Lands races by highlighting the stark environmental contrast between the candidates. Through expanding our program to engage infrequent voters located in key districts in the political process and through voter education, we helped boost turnout by 274% over 2012 results. We grew our membership by 25% through building engaged, educated, environmental voters. While the overall voter turnout in WA this year is about 79%, 93% of our combined WEC and WCV member base voted. 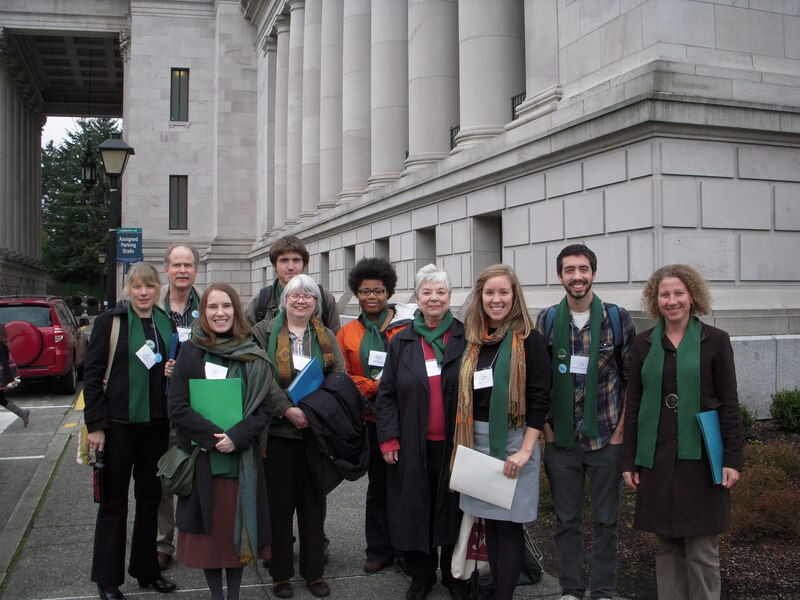 Eighty nine percent of Washington Conservation Voters endorsed candidates were elected to office! We had 1,147 volunteers, 37,000 active members, and 125 Earth Angels. Together we knocked on 18,159 doors, made 53,572 phone calls, and hosted dozens of doorbell days including two statewide canvass days with over 100 volunteers. The environment was the defining issue in many local races this year – from stopping oil and coal terminals to creating livable communities with transit to protecting our clean air and water. 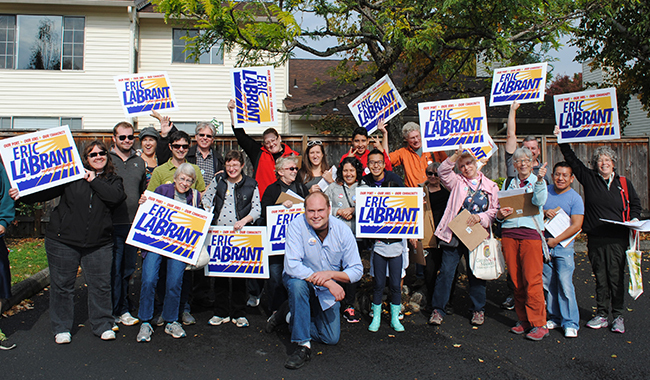 We worked with local volunteers to launch a massive grassroots campaign in Vancouver, WA, where we turned out voters against the proposed oil terminal and elected Eric LaBrant to Vancouver Port Commission who defeated the oil industry-backed candidate by 13 points. With the coal industry threatening to change the make-up of the Whatcom County Council, WCV mobilized voters to not only hold onto the pro-environment majority we elected in 2013, but we picked up an additional seat to secure a super majority by electing former WCV chapter member Todd Donovan and Satpal Sidhu! WCV worked to elect bold leader and transit advocate Claudia Balducci to the King County Council. A longtime activist for Puget Sound protection, Fred Felleman defeated special interests in the Primary Election and ran on a platform that Seattle can be both a working and a green port. In Snohomish County, Dave Somers, four-time WCV-endorsed candidate and region-wide champion for Puget Sound and farmland protection was elected County Executive. With Ben Stuckart’s win on the Spokane City Council and newly elected Mayor Jasmine Dickhoff’s commitment to saying no to oil-by-rail, we are one step closer to securing a clean energy future for Washington. Eighty percent of WCV endorsed candidates won their race. We helped elect member, Derek Young, to the Pierce County Council by a margin of just 87 votes. We implemented the largest electoral program in WCV’s history. Together we knocked on over 90,000 doors, placed over 30,000 phone calls, aired six television ads, and sent over a dozen targeted mail pieces to voters. Our Evergreen Campaign was stronger than ever before: over 1,000 citizens volunteered to talk to their neighbors about the election. 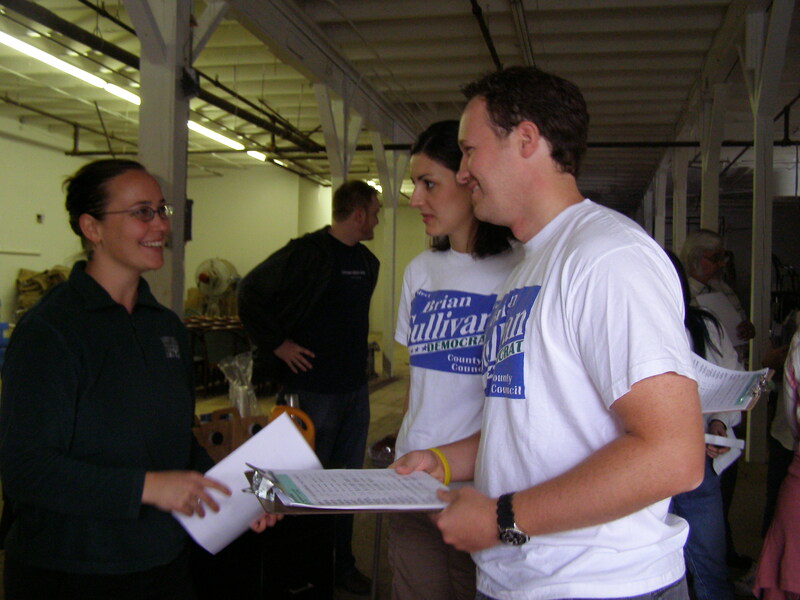 WCV became the second largest Political Action Committee in Washington state. We raised and spent over $1.4 million to build power for the environmental movement and elect pro-environmental candidates. Our political power was featured in The New York Times, The Seattle Times, The Tacoma News Tribune, Politico, KUOW, and The Bellingham Herald. 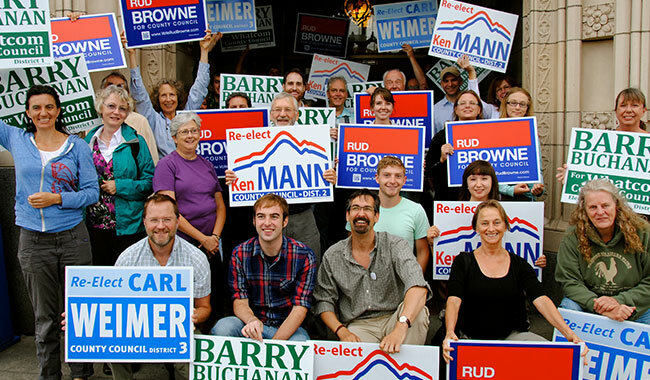 We delivered a massive blow to Big Coal: all four WCV endorsed candidates in Whatcom County (incumbents Ken Mann and Carl Weimer, and challengers Rud Browne and Barry Buchanan) won their elections, in no small part due to the strength of our membership. This has proven to be a big blow to Big Coal’s Washington export plans. 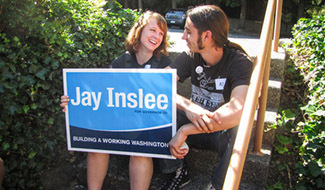 Washington Conservation Voters achieved our highest political priority, electing Jay Inslee as Governor. Together, we recruited 1,000 volunteers across the state that knocked on 16,000 doors and we contacted another 875,000 voters by mail, phone, or internet ads through our independent expenditure. WCV’s well-researched and targeted independent expenditure for Jay Inslee contacted 275,000 voters by mail, 200,000 voters by telephone, and over 400,000 via internet advertising. 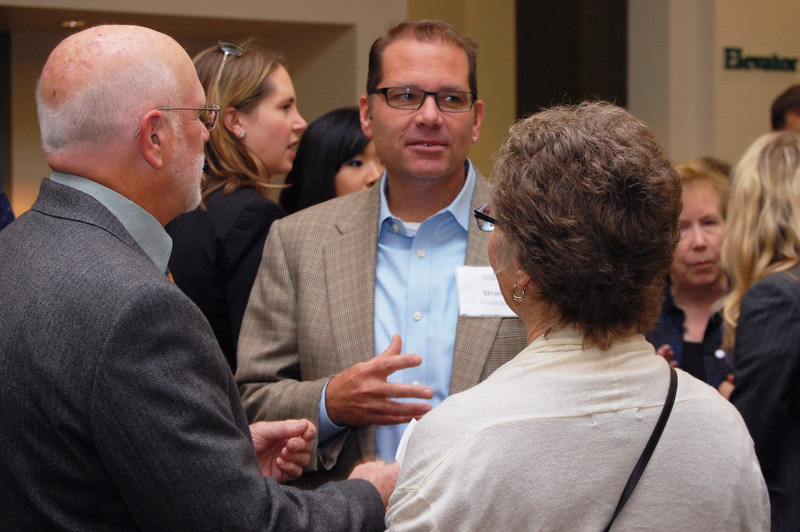 We raised and spent over $850,000, making the environmental community one of the biggest political players in the state. WCV was mentioned in the press over 250 times in Washington in 2012, building our political strength, our stature in Olympia, and our membership. WCV helped stop Tim Eyman's irresponsible idea, Initiative 1125, which was designed to halt statewide transportation projects and voter-approved light rail. Bellevue voters said YES to light rail, and NO to Kemper Freeman’s anti-light rail candidates! All three of WCV’s backed candidates won in Bellevue. In Whatcom County, candidate’s positions on coal export matter - the major issue faced by Whatcom County was the coal export terminal at Cherry Point. All four of our Bellingham City Council candidates won, as well as County Council candidate Pete Kremen. All three of the WCV backed candidates in SeaTac City Council were successful, winning the debate over more parking lots in SeaTac. 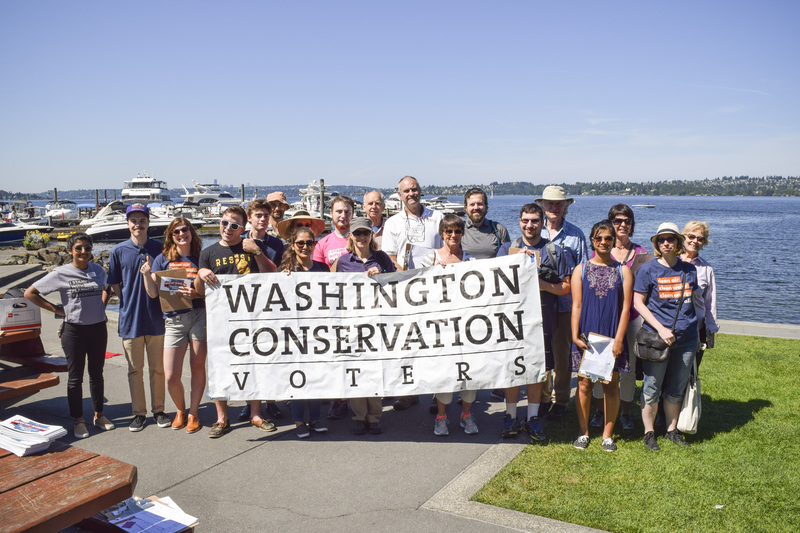 Despite a tough political year nationwide, Washington Conservation Voters maintained environmental majorities in the Washington state legislature. WCV mounted its biggest political operation to date, directly contacting over 125,000 voters in the last 10 days of the campaign. We celebrated the close reelection of Rep. Hans Dunshee, one of the state’s strongest environmental champions. Worked to elect many new environmental leaders to legislative office including Steve Tharinger (LD 24), Joe Fitzgibbon (LD 34), Derek Stanford (LD 1), and Luis Moscoso (LD 1). WCV helped defeat Tim Eyman’s budget crushing I-1033. 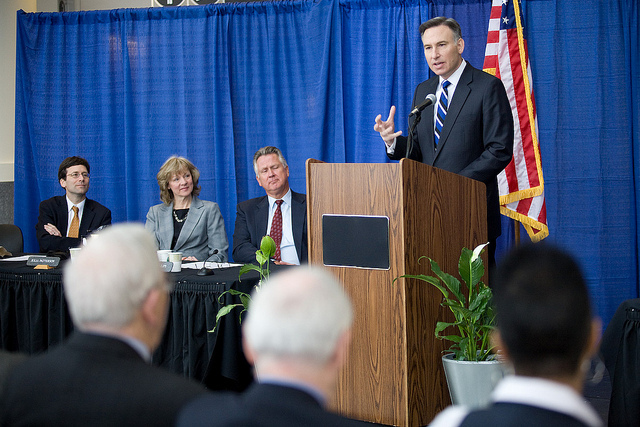 We supported environmentalist Dow Constantine in his election to King County Executive, a position critical to statewide environmental progress. We helped elect Amber Waldref to Spokane City Council, helping the environmental movement widen its reach across the state. WCV implemented a successful campaign to re-elect Governor Gregoire by highlighting Dino Rossi’s poor environmental record during his time in the state Senate. We assisted in the election of conservationist Peter Goldmark to Commissioner of Public Lands, the highest environmental post in the state. 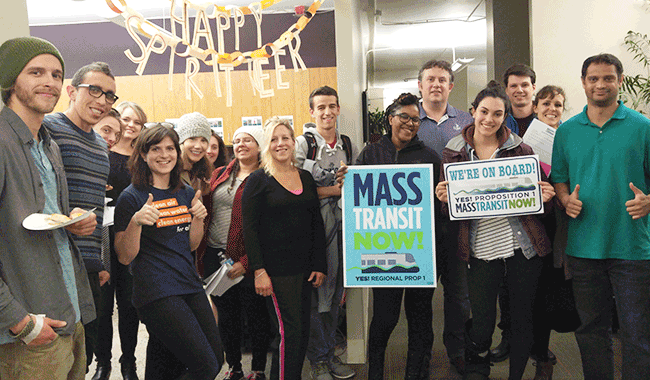 We supported the success of Proposition 1: Mass Transit Now. 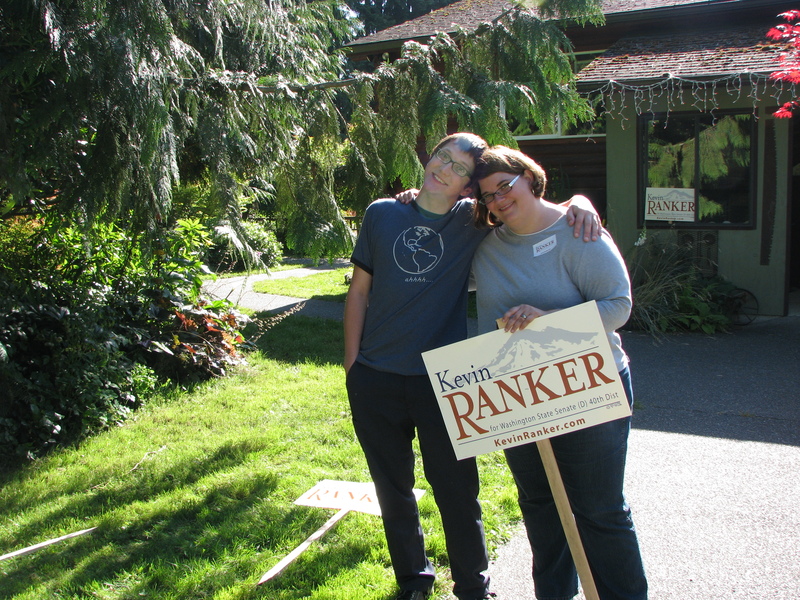 We helped reinforce a strong environmental majority in Olympia by electing new champions like Senator Kevin Ranker in the 40th Legislative District. 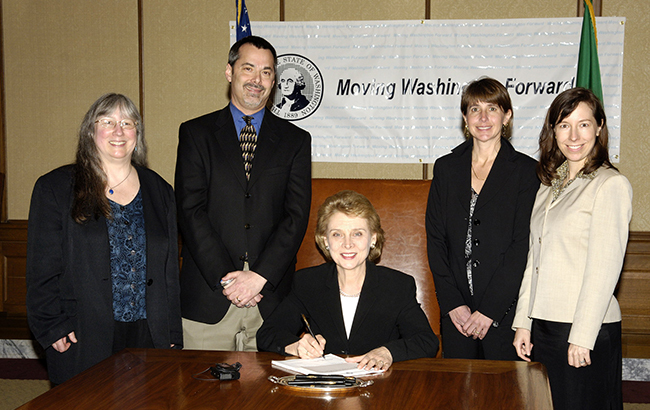 WCV delivered an environmental majority in Snohomish County Council. We won many important races at the local level including Port of Seattle, Bainbridge City Council, and Seattle City Council. WCV defeated I-933, protecting our farmlands and communities from irresponsible development. WCV served on the steering committee were actively involved in the successful ballot effort to pass I-937, the Clean Energy Initiative (also known as the Energy Independence Act). We defeated two entrenched anti-environment incumbents in the Legislature and picked up strong environmental majorities. We beat back the Building Industry Association of Washington’s candidates in the race for the State Supreme Court.